Both victims suffered extensive burns to their faces and bodies and have required plastic surgery. A MAN WHO inflicted severe burns on two people after throwing a corrosive substance at them has been jailed for 16 years. 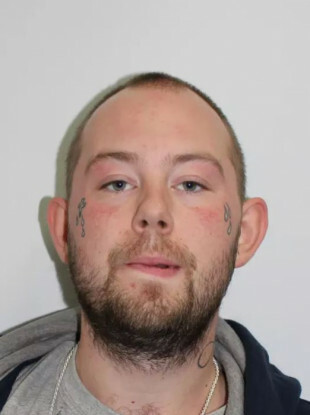 John Tomlin, aged 26, of Canning Town in the English capital, was sentenced today at the Snaresbrook Crown Court having previously pleaded guilty at the same court on 27 November 2017 to two offences of grievous bodily harm. Today, he was sentenced to 16 years’ imprisonment, to run concurrently, for each offence with an additional four-year extended licence. The judge ordered that he serve at a minimum of two-thirds of the sentence before release. The court heard how on 21 June 2017, at 9.13am on Tollgate Road, Tomlin had got into an argument with a 37-year-old man. The argument had started on the pavement and when the man returned to his car, Tomlin approached him and threw a corrosive substance at the man through the car’s open passenger window. A 21-year-old woman was sitting in the passenger seat and the majority of the liquid hit her. She began screaming and the man tried to drive away, but was blocked by parked vehicles. As the man tried to pull out onto the road, Tomlin ran around the car and threw more of the substance through the driver’s window. The driver was temporarily blinded by the liquid, but kept driving to flee Tomlin’s attack. Eventually, the car mounted a pavement and crashed a short distance away. The substance, which was thrown from a bottle, was so strong that it melted the victims’ skin and clothes where it struck. A subsequent examination of the car revealed that the powerful corrosive had melted through the car’s seats and dashboard. A member of the public who found the crashed car took both victims to an east London hospital. Both victims suffered extensive burns to their faces and bodies and required plastic surgery. They are still being treated for their injuries. An immediate investigation was launched by Met Police detectives and Tomlin was quickly identified as the suspect. Met Police launched a manhunt to find Tomlin and on 9 July 2017, he handed himself into an east London police station. He was arrested on suspicion of grievous bodily harm with intent. The next day, Tomlin was charged with two counts of causing grievous bodily harm with intent. “This was a vicious attack, which has left two victims with substantial injuries that will stay with them for life,” Met Police detective sergeant Dion Brown said. “I am glad Tomlin accepted his responsibility for the attack and spared his victims having to relive that terrible ordeal at court. Acid attacks can inflict terrible, disfiguring injuries and cause excruciating pain. Those who cause such injuries can expect severe consequences when they are brought to justice,” she said. Email “London man jailed for 16 years over acid attack that melted victims' skin and clothes”. Feedback on “London man jailed for 16 years over acid attack that melted victims' skin and clothes”.